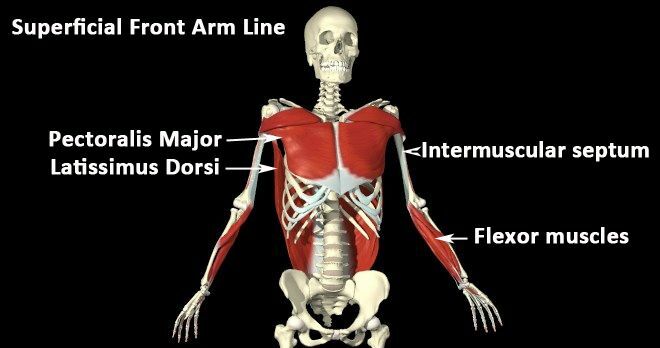 This triangular muscle is the largest muscle in the upper body, one of the widest in the entire body and sits across the mid-back impacting the arms, trunk and breath. Gym and weights trainers call this muscle the ‘lats’. Under-discussed in yoga and Pilates the latissimus dorsi muscle is vitally important for holistic health and wellbeing. From a Western perspective, issues with this muscle rarely show up as a muscular issue itself. However, Traditional Chinese Medicine and Energy Medicine see a social epidemic in the West from the meridian that relates to this muscle - the spleen meridian. Physical issues and pain can arise in a number of points due to the size and nature of the muscle. Pain and stiffness can arise in the mid-back, sides, referred pain down the arm (especially in overhead movements) and compromised breathing. Improper latissimus recruitment may also be the culprit of carpal tunnel syndrome where the over-reliance on the upper trapezius causes the infraspinatus (shoulder stabilising muscle) to over tense. This radiates a pain like carpal tunnel syndrome that is felt in the wrist. The enemy in modern lifestyles is slouching. Slouching elongates the latissimus dorsi muscle which then struggles to maintain its integrity during movement in a neutral posture, or is too strained when going into the gym or yoga class for these overhead movements. Imbalance in the latissimus dorsi can impact breathing. Impaired breath can lead to emotional issues regarding anxiety, feeling crowded, mood imbalances from tiredness and an inability to see solutions with a clear mind. Considering the Chinese Meridian of this muscle we can see many emotional states that are connected to latissimus dorsi imbalance below. The connection of the muscle past the back of the heart to the arms and down past the solar plexus, draws this muscle around the heart chakra (anahata). The relationship of the arm and heart connects this muscle to how the heart interacts with the external world. This may arise in issues around self-esteem, hopelessness and trust. In Traditional Chinese Medicine and Energy Medicine the latissimus dorsi is the muscle that connects to the spleen meridian and function of the spleen and pancreas. These organs are responsible for the body’s digestion and blood sugar regulation. The lats connect to the ability to digest life experiences in energy and emotion. Spleen meridian connects to pensiveness or worry and over thinking. This can leave the physical feelings of tiredness and poor concentration. This can lead to anxiety and insomnia issues. When in balance the mind is sharp and analytical, with good insights and ideas. Out of balance this can become connected to many conditions, some are: tiredness, fatigue-related illnesses, anxiety, weight-gain, muscle weakness, abdominal bloating, insomnia, sleep-walking, poor concentration, dizziness, pale complexion, edema, cold hands and feet, addictions, chronic muscle tension, mood swings, autoimmune diseases, temperature imbalances, irritable bowel syndrome, and indigestion. The muscle covers from the mid-thoracic to base of lumbar spine. Originating at the iliac crest (top of pelvis) into the thoracolumbar fascia and up into the thoracic spine and mid-ribs. It inserts into the anterior of the humerus (front of top arm bone). Functionally it is an upper limb muscle that helps to move the arm in adduction, medial rotation and shoulder extension. It’s synergist muscle is the pectoralis major so this is an important balancer for ‘hunched’ back posture and closed chests. The lats work closely with the Teres Major muscle. 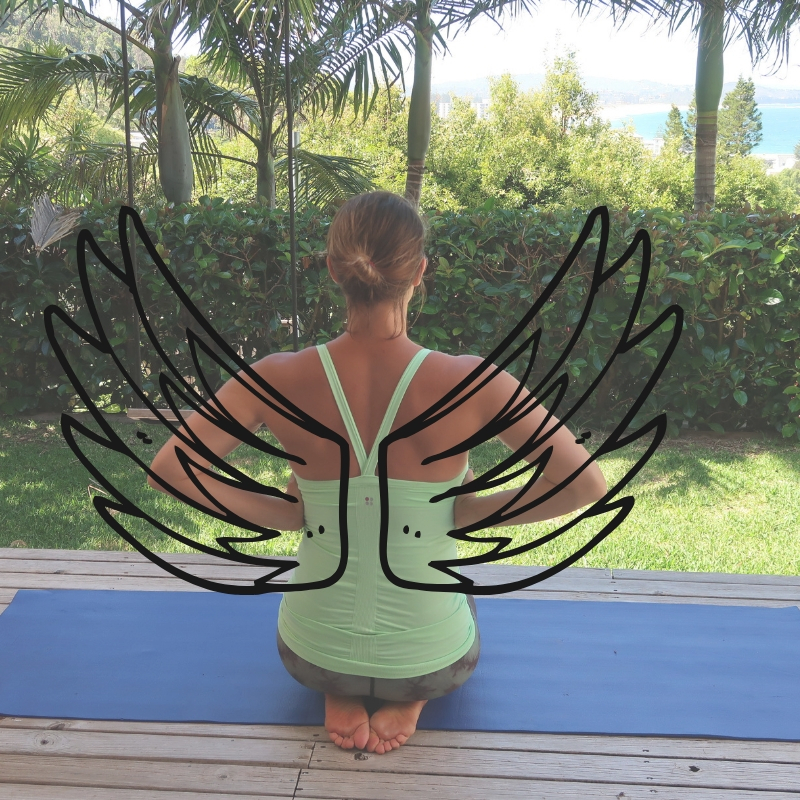 Consider a downward facing dog pose in yoga where the shoulders draw up into the ears, this can be poor support from the lats not controlling the shoulder stabilisation in the overhead arm movement. How to know if this muscle is balanced? There are various muscle tests, but a simple one you can do in a mirror is the overhead press. Hold a weight or resistance and see if the ribs pop up as the arms press overhead? Yes, ribs pop then lats are not working functionally. The thoracodorsal nerve from the neck at C6-8 and artery in this region for blood supply. This is why impairment of the nerves for the latissimus dorsi can result in pins and needles down the arm into the end fingers. We can see the connection back to carpal tunnel syndrome. From the arm down to the sacrum and into the thigh. Thus, the arm connection to the buttocks and spinal positioning. This is for basic posture, backbends and counterbalancing coronal plane movements such as pushing and pulling. From the arm into the front of the body at the pectoralis it then wraps to the posterior at the spine and down into the iliac crests and thoracolumbar fascia. Studies have shown that hand support and positioning is vital to activate the latissimus dorsi correctly. This is important if you are doing gymnastics and yoga inversions where set up into the positions are vital for optimum performance. From the arm it goes down the side of the body into the external obliques and ASIS into the thigh muscle sartorius and wraps outer to inner thigh. This will be affected by throwing movements. The lats are a key part of the posterior sling and oppositional movement in walking with the arms moving as part of the natural full body motion. Walking meditations <LINK> can be great for balancing breath with the movement and finding the fascial fitness of the latissimus. As the latissimus dorsi begins up around the top sides of the heart comes down past the solar plexus and connects near the sacral chakra this is a vital muscle in the energy of the connection from inner self to outside world relationships. On Nid’s retreats you will likely be deeply exposed to a ‘shoulder strength’ class. This brings a lot of this aspect into movement. The relationship of the arms from the lats being the ability to manage boundaries for self-care and interactions with the world. In movement it is seen in backbends especially with overhead arm action, inversions, and pulling or pushing actions. 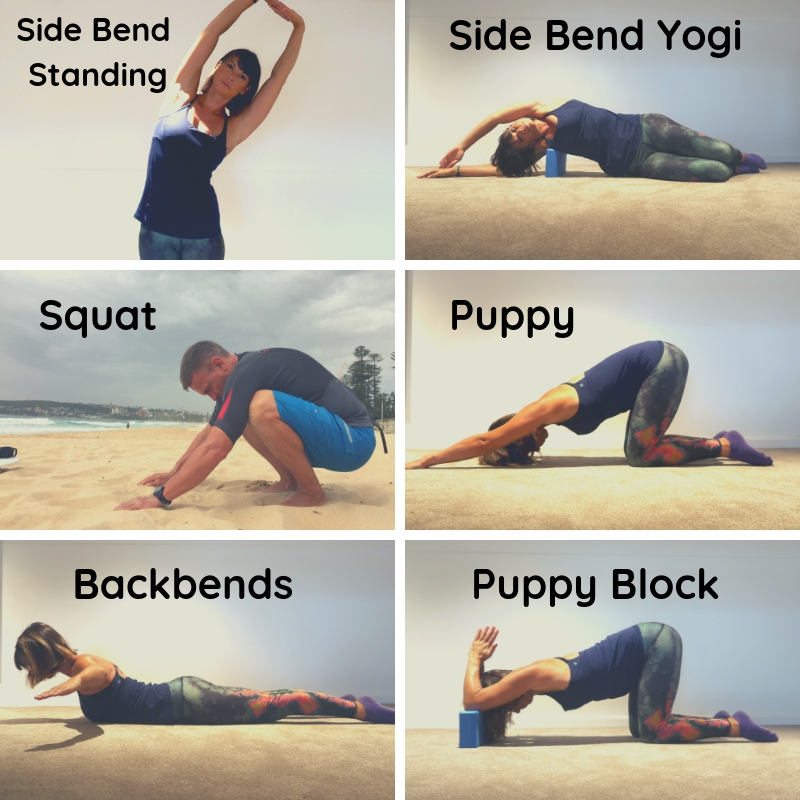 Training balanced strength and flexibility is important to be supple in mind and body that manage healthy boundaries of self-care with the world. The meridians use wheel for when a specific meridian is ‘active’ and the spleen is between 9 and 11am. This means that during this time it is great to be mentally active to process thoughts. During this process consider that the spleen feeds into the heart (like solar plexus lifts into the heart), further it is the ‘Mother Earth’ of the meridians and is a gentle yin quality. Therefore, processing should be a compassionate and open-hearted approach. Be balanced in views for a whole system balance. Positive mental work at this time is to clear out negative thoughts. At 9am take 5 minutes mindfulness to check-in with the thoughts. Inventory them and try to find an alternative positive viewpoint. Another option? Try Donna Eden’s Energy Medicine spleen tapping or Heart Hug to calm the energy around the heart. Get a massage to break down the knots in the muscle. This could include trigger point therapy. Myofascial release work can really aid specific pain issues in the fascia lines. Check technique in pull up and force down exercises. This means drawing the shoulders down to the mid-back. Imagine that the movement of the arms comes from beneath the shoulder blades, like spreading wings from the mid-back. Avoid processed foods, sugary foods (including fruit juice), cold food and drinks. If there is overeating introduce portion sizing to manage the compulsion. Speak to a nutritionist or doctor about tests for a potential potassium and calcium deficiency. Triple Warmer Hug in social situations can bring you back to your heart. Mindful living - if there is overthinking, notice the racing thoughts & choose just one to deal with fully. Plus, ylang ylang, vetiver, nutmeg, ginger, cinnamon for warming and digestion. Want to go deeper with your body, mind and energy of your lats? Get in touch. We can support you in a variety of ways. Molly is trained in yin yoga that uses the meridians in specific yogic asanas. The combination of her therapeutic yoga training with this knowledge means that she is fantastic for spleen meridian balance through yoga. Whether it is breath, meditation or movement practice that you seek, she can assist. In London? Joy’s massage is a fabulous way to get the release of those muscles and calm the spleen meridian. Her training of ayurveda with Raynor massage works both chakras and meridians for energy balance. Nid’s training in Law of Attraction can help shift those negative thought cycles. With mindfulness and visualisation exercises to shift the mind and energy fast. Nid’s Pilates and yoga background brings the breath and movement balance. If posture is an issue then this is a great way to become aware of those daily movement habits and grow two inches! In Sydney? Nid can also provide massage to release the trigger points and meridian lines. She combines this with Healing Essences oils too, that can be purchased from her direct.